After recently qualifying as a Certified Putting Instructor (CPI) Newmacher Golf Club’s Greg McBain looks forward to expanding his short game services. 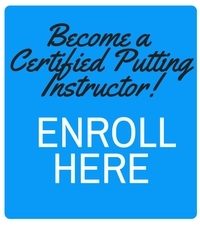 “The CPI course gave me different ideas for my lessons and has changed the way I go about my putting lessons. 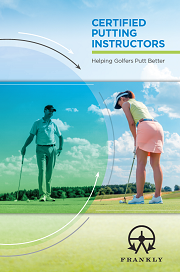 “I will be able to deliver a more dedicated putting lesson and with my enhanced knowledge I will be able to provide more detail to my students if they need it which will really back up my teaching,” said McBain. McBain, who turned professional in 2007, completing his training at Royal Dornoch and going on to play on the Europro Tour as part of the Paul Lawrie Foundation programme, clearly recognizes the importance of the short game and putting in particular. “I am very interested in the short game and I think the CPI Course is something specialized that is different, allowing me to expand my offerings and services. “I would certainly recommend the CPI Course to any fellow professionals who are looking to offer something new or a different service to their members. “I have 1000 members at Newmacher Golf Club and we have 2 courses, a driving range and short game area, so we have great practice facilities where students can learn,” said McBain. McBain also found the online delivery of the CPI Course to be very user friendly, completing the course on his IPad. “I enjoyed the online aspect of the CPI course, the videos were good and it was clear and well formatted. Online learning is really the way forward,” said McBain.